Owning a home is a lot of responsibility, and when you need heating repair or AC service, it can be an incredible hassle. The experts at Montgomery Heating and Aire in Mountain Home, AR, say having answers to these five questions can help you prevent costly breakdowns or a dangerous home safety hazard. Annual tune-ups and inspections of your heating and air conditioner system are strongly recommended. Not only can this keep them from breaking, but it can make them more energy-efficient, saving you money along the way. Never. Refrigerant or gas leaks can be serious hazards, sometimes even putting your life at risk. 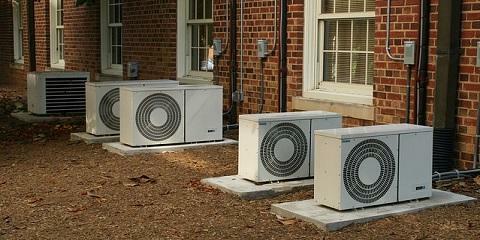 As soon as you notice anything unusual, get the heating or air conditioner repair company over immediately. Filters should frequently be replaced by both ductless HVAC systems and other types. They restrict air flow, making your system work harder to do its job. Old filters also make breakdowns more likely to happen. Dirty filters mean more polluted air in your home and a higher cost to run your system. How Do I Know When There's A Problem? Uneven heating or cooling, strange noises, or mysterious spikes in your energy bill are all signs there's a problem. Call your heating repair service right away if you notice anything strange. What If Ice Forms On My Air Conditioner? A coating of frost on your air conditioning unit is okay, as long as it melts within an hour or two. If it doesn't, contact your air conditioner repair company for an inspection of your system. 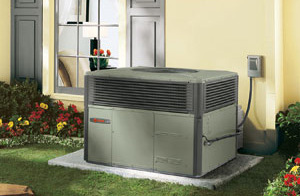 Even with a perfect HVAC installation, all systems wear down over time. When you need service for your central heating and cooling, Montgomery Heating and Aire is the answer. Serving the Mountain Home, AR, area with over 15 years of experience, they focus on quality and workmanship for a job done right, every time. Visit them online or call (870) 435-1501 to learn more about the AC service, heating repair, and HVAC installation services.